Belly up to the table and place your bets. 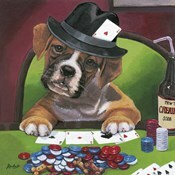 This collection of poker art is a full house. Go all in with hilarious images by Michael Goddard such as Pocket Rockets and Cassius Marcellus Coolidges' famous A Friend in Need. 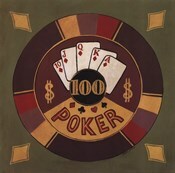 Decorate any bar, resturant, or game room with this extensive collection of poker art. 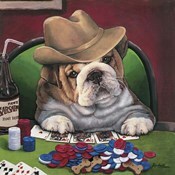 From classic poker art to humorous art and everthing in between, there is something for every card player and style.